Marina Jones was brought up with the love of travel. From the time she was a little girl she recalls her family spending summers driving from New York to California -- 6 weeks each summer. By the time she was 12 she had been to 48 states and all the National Parks. As an adult, Marina wanted to continue her love of travel and chose to become a flight attendant. 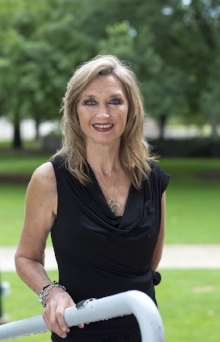 At the age of 21 she flew to Minnesota from California to interview with Northwest Airlines (now Delta Airlines), officially beginning her career as a flight attendant in June of 1973. She recalls that two things were stressed in training -- that “take offs” and “landings” were probably the most intense and dangerous part of the flight. Of course, this made every take off and landing exciting and always amazing to her, how these massive planes did what they did. Little did Marina know that there was another danger lurking on that massive aircraft she spent her days on. In 1986, after hearing from attendants, employees and even consumers, Northwest Airlines made a bold move and decided to ban smoking on all domestic airplanes. Many people protested and were outraged, stating that customers would not fly NWA any longer and they would lose more customers. While that might have been true initially, the industry began to see consumers choosing to fly a non-smoking aircraft, and slowly other airlines came on board. Thanks to Northwest’s example, smoking on all domestic U.S. airliners was Federally banned on all domestic flights (with a duration of two hours or less) beginning in 1988, with ALL planes, including international, being smoke-free by the end of the 1990s. In 2007 Marina retired after 35 years of flying – she loved her job, and every year she flew. In the fall of 2007 she had a pain in her lower stomach and thinking it might be a ulcer, her physician ordered a CT scan. When the results came in there was no ulcer, but they did notice a spot on her lung. A biopsy followed and a week later at her physician’s office she was told she had Lung Cancer, most likely from second-hand smoke. Devastated, all she could think of was the job she loved had given her cancer. No one in her family had ever smoked. On February 4th 2008, she had a third of her lower right lung removed. Fortunately it was caught early and she did not have to have radiation or chemo. Following a regime of annual visits to her Oncologist every 6 months, she has been clear of cancer for 10 years -- a huge milestone in cancer survivorship! As a hobby, Marina started running in 1981. Ironically, she had never really been athletic after having Rheumatic Fever at age 7, but in 1982 she ran her first marathon. She continued running throughout her cancer and now also looks back on a great running career. 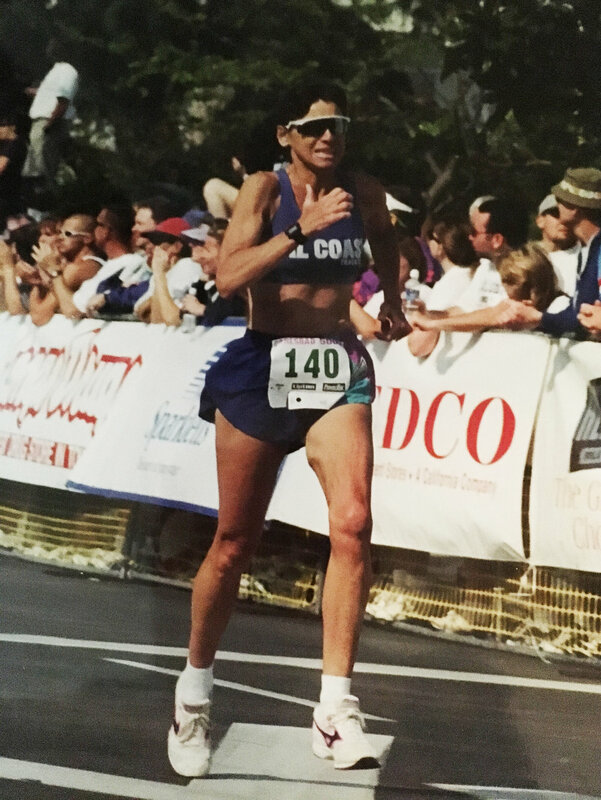 She has completed over 50 sub 3 hour marathons and qualified for the Olympic Trails in 1996 and 2000. This May, Marina celebrated her 10th year being cancer free by completing her 100 marathon in Orange County, California in The OC Marathon and Half Marathon. She hopes to give lung cancer patients, and those who love them, hope that there is life after a cancer diagnosis. Never give up. Do you have a patient story to tell? Is there a loved one you'd like to remember, or would you like us to reach out, and capture someone's story? Write us, or send us a story you have written or captured some other way. We are currently seeking lung cancer patient stories to share. Please send us an email or private message to one of our social media accounts, and we will follow up with you as soon as possible. We can't wait to help you tell your story.